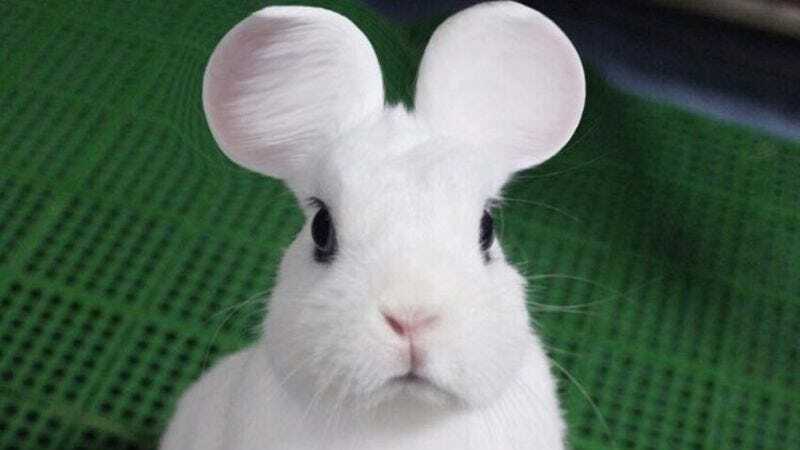 In that spirit, many pet owners are using a free app called Cymera to artificially manipulate photos of cats, dogs, rabbits, and other critters so that their ears are perfectly round, like those of Mickey Mouse. Is that what Cymera was intended to do? No, not at all, but that’s what people are using it for anyway, according to Lori Dorn of Laughing Squid. Dorn reports that the fad started in Japan before becoming so popular that Cymera eventually caved to public pressure and just posted ear-rounding instructions to its official Instagram account. If you can’t beat ’em, make their ears perfectly round. Or something like that. There could be something to this round-ears thing. It’s certainly kept Mickey popular since 1928. Not to mention all those cartoon mice, from Mighty to Jerry to Danger. Even Deadmau5 has had the look going for some time. The technique is so effective, it could improve just about anyone’s image.